A powerful snapshot of your brain’s current style for processing emotional and cognitive data. The Brain Brief Profile is a 1-page summary distilling a decade of research into an incredibly insightful summary of your Brain Style. Serious science made simple. While many profiles focus on behavior, these tools look at the drivers. Brain Style is about capability. Unlike many “style inventories,” the Brain Brief is distilled from a full-power psychometric assessment. 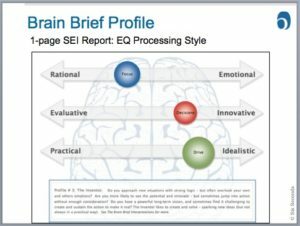 Participants take the SEI, the best-in-class emotional intelligence assessment. Responses are analyzed using a special algorithm utilizing all 20 normative scales. Are you usually motivated by the practical or the idealistic? 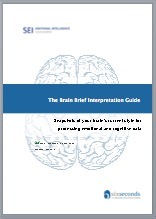 The Brain Brief Profile comes with a free “Brain Brief Interpretation Guide,” an e-book about Brain Styles. It includes additional background, plus how to work with your style — and how to work with people of other styles. To use the Brain Brief with your clients / team members / students, get equipped with your Brain Profiler Certification. 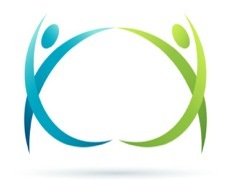 Download the Brain Brief Brochure, an introduction to share. Download the Brain Profiles Technical Manual, an overview of the psychometric properties of the tool.